When searching for a running shoe that will provide the necessary support and stability for many miles of running to come, it’s important to keep our four simple tips in mind. This may seem like an overly apparent suggestion but many runners buy shoes in an inappropriate size! While intuitively, you may want a snug fit that is sure not to slip off in any way, it is recommended that you purchase shoes that offer your toes some room to move around. If you have any doubt about the size you are purchasing, simply ask to have your feet measured at the store. This is especially important since there is variability in size across different brands and model’s. While it may be hard to part with your favorite running shoes, it’s important to recognize when they have passed their prime. It is typically recommended that running shoes are replaced every 6 months for those who run frequently. If you have orthotic inserts that you wear, be sure to bring them in with you. Don’t assume that they’ll fit within any shoe model. It’s much easier to bring along any inserts you’ll be wearing than to deal with running back to the store to return or exchange your shows. Though a particular look may catch your eye, try your best to focus on the fit of the shoe when shopping around. Be cognizant of any additional support you may need and ensure that the running shoe you’re trying out checks those boxes. Ultimately, you’ll want to ensure that your new running shoes are comfortable and support your running stride. If you have any opportunity to test them out in the store, take it! 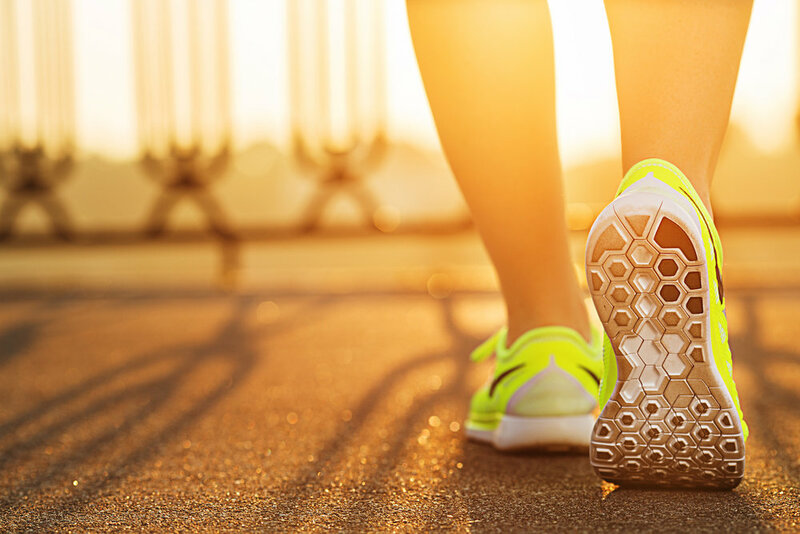 Finding the running shoes will not only ensure you’re comfortable while pounding the pavement, it goes a long way in preventing foot and ankle injuries.